This kettle is made from borosilicate glass that has been handblown. 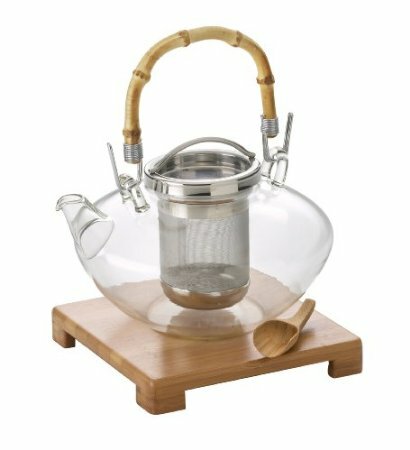 In addition to the glass carafe you have a micromesh stainless steel infuser and the one of the most exquisite touches, a bamboo handle, tea scoop and elevated base. This impressive piece can hold 42 Oz. of tea.